Eastern Europe is becoming more popular every day to individual and group travelers. From Prague's fairytale city to medieval walls in Croatia, there is a lot to see and do while you travel to these amazing countries. Surrounded on all sides by mountains and forest, the lake itself has famously clear waters and is perfectly blue. The fairy-tale atmosphere is only increased by the castle perched on the lake and the church built on the island in the middle. Grab one of the many boats on the shore and take an adventure to the island for a picnic lunch and relaxing afternoon. 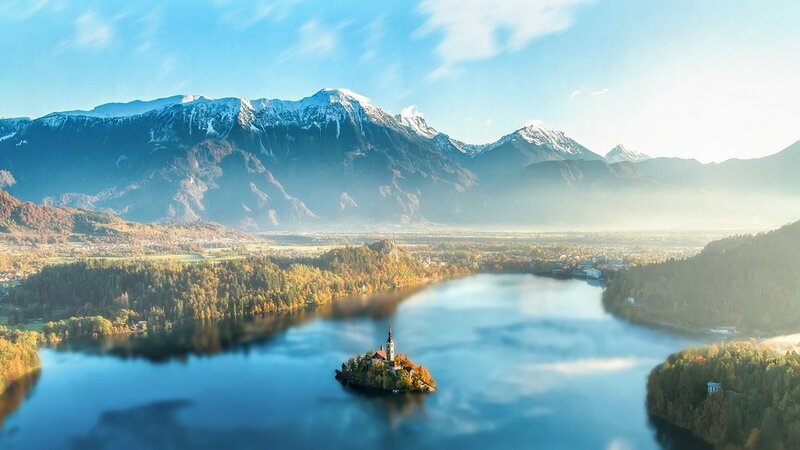 Bled is also excellent for outdoor sports, from swimming to bungee jumping and whitewater rafting, there’s something for everyone! Most of Sofia's main historic sites lie along the Yellow Brick Road - a road built through Bulgaria connecting all the main historical sights of the country. Walk (or dance) along the yellow cobblestones – passing in front of the Bulgarian Parliament, and many other beautiful buildings and important landmarks. “True” Sofianites are said to “have been born on the yellow cobblestones.” There is a lot of history pertaining to The Yellow Brick Road - definitely check them out if you are ever in Bulgaria! The Tunnel of Love is a beautiful spot in Klevan, Ukraine - where a three kilometer railway was built directly through a "tunnel" of greenery leading to a famous fibreboard factory. The train goes three times a day and delivers wood to the factory. However, the trees make a green corridor, which attracts many couples, as well as photographers for its eye catching avenue. It is said that if you and your beloved come to the Tunnel of Love and sincerely make a wish, it will come true. This might be a new romantic place to discover!